Elisabeth Schussler Fiorenza-who “stands among the most articulate and respected theologians who have challenged the silence and marginality . . . of Christian women” (The New York Times Book Review)-explores postmodernist biblical studies through feminist interpretation in Sharing Her Word. 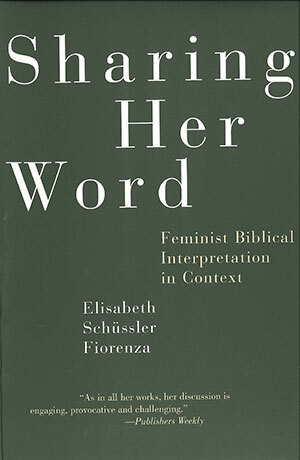 She reclaims the work of nineteenth- and early twentieth-century feminist biblical interpreters, reassessing their influence on current thought. Through analyses of biblical passages, she shows us how reimagining the Bible can contribute to the spiritual struggle for a more just world. Spirited and accessible, Sharing Her Word is essential reading for all who want to understand how the Bible shapes our lives.